I don't think this comp is particularly spectacular by any stretch, but I liked the way the vertical elements played off one another, vying for attention from the falls. 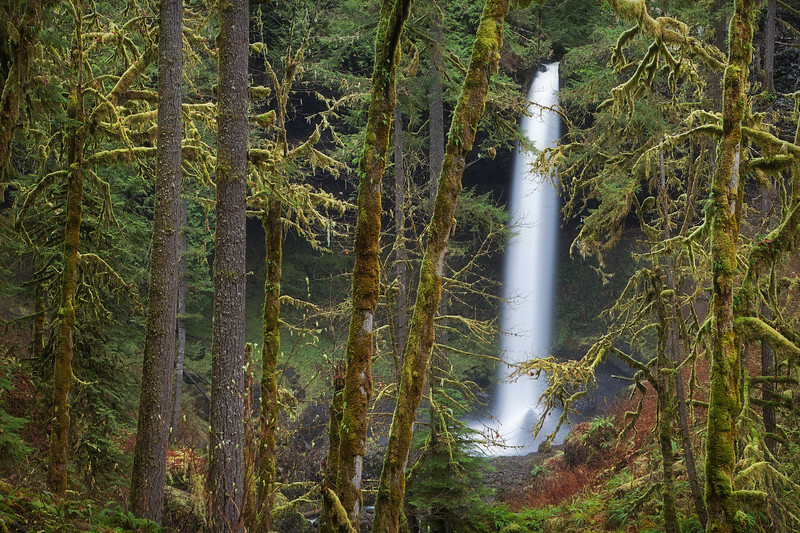 It was the middle of March and most of the flora in Silver Falls State Park had yet to get the memo that Spring was just around the corner, but for 10 mostly stately falls in less than 10 miles, you can't go wrong here any time of year. It's about being there, really, and walking behind a thundering curtain of water is always a thrilling experience.